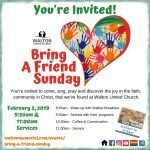 Bring a friend Sunday! Wear a name tag! Make new friends! It’s easy to invite someone to join us! Just like inviting someone to a baseball game! 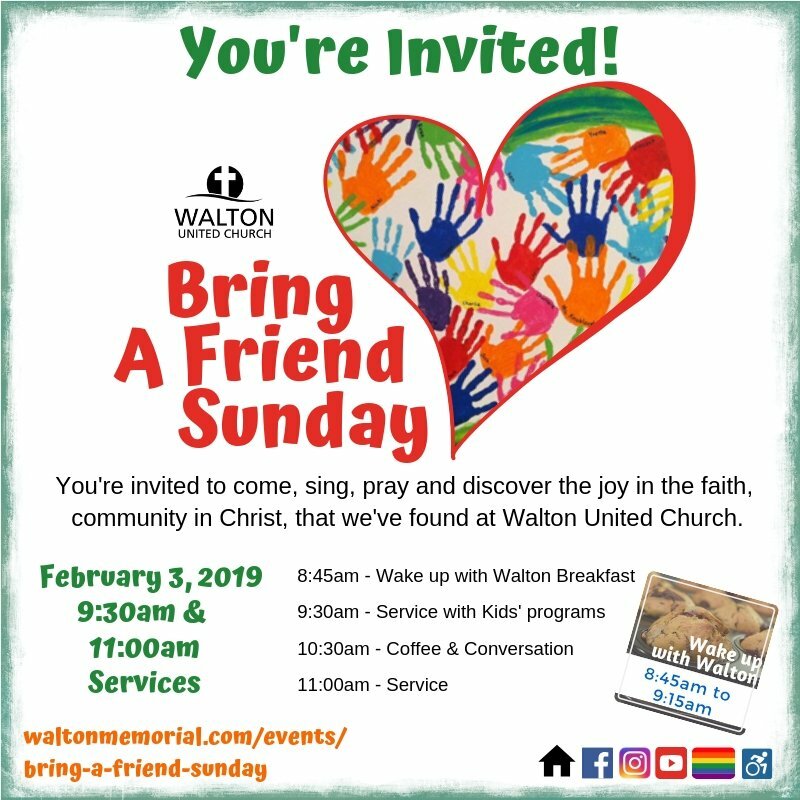 It’s a wonderful opportunity to bring a friend to Walton, someone you have talked to about going to church, but never asked them if they’d like to join you. Well, Sunday February 3rd is the Sunday to do that!! Between services, at coffee/tea & muffin time, check out people’s name tags! You are welcome to wear one of your own name tags, or we will provide you with one…. introduce yourself to someone you don’t know, or someone you have been saying hi to at the end of the pew you sit in and never knew their name. Invite them to coffee and muffins down-stairs in Bronte Hall. Share this page on FB or in an email to invite your friends by using the buttons at the bottom! Get your own WALTON NAME TAG! The Worship and Membership committee is offering for sale, beautiful gold coloured magnetic name tags. They feature the United Church of Canada logo in full colour to the left of your name. They are held on by a magnetic clip. We encourage you to wear them each week, storing them in your purse or suit or pants pocket. The cost is $13.00 includes HST and shipping, payable by cash or cheque to Walton Memorial United Church at time of Ordering. Please place your orders through Church office by using the attached form.